These straight-forward and easy to read rules can serve as excellent guidelines if you’re just starting out or they could be a navigational buoy in your journey to maximize the profitability and connectivity of your LinkedIn profile. Either way anyone who wants to be successful on LinkedIn could benefit and learn a bit from these short, simple tips. Here’s a little spoiler: The first tip is to start with a simple question. LinkedIn is a powerful social media tool and could help your business immensely in a number of ways. If you had a chance to learn from a master of this platform who was just giving away his secrets about it then I have a short question for you: What are you waiting for? 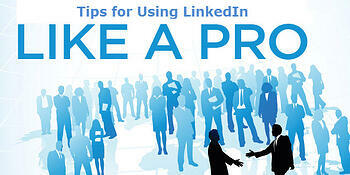 For many more suggestions on how to get active on LinkedIn, click on this link.